The Tote bags have come free with newspapers have been a long standing tradition at the Hay Festival. There are a ubiquitous sight at the site. I have no idea when they first appeared, but I acquired quite a collection of Guardian bags over the years. The Telegraph has broken new ground this year with a designer bag. 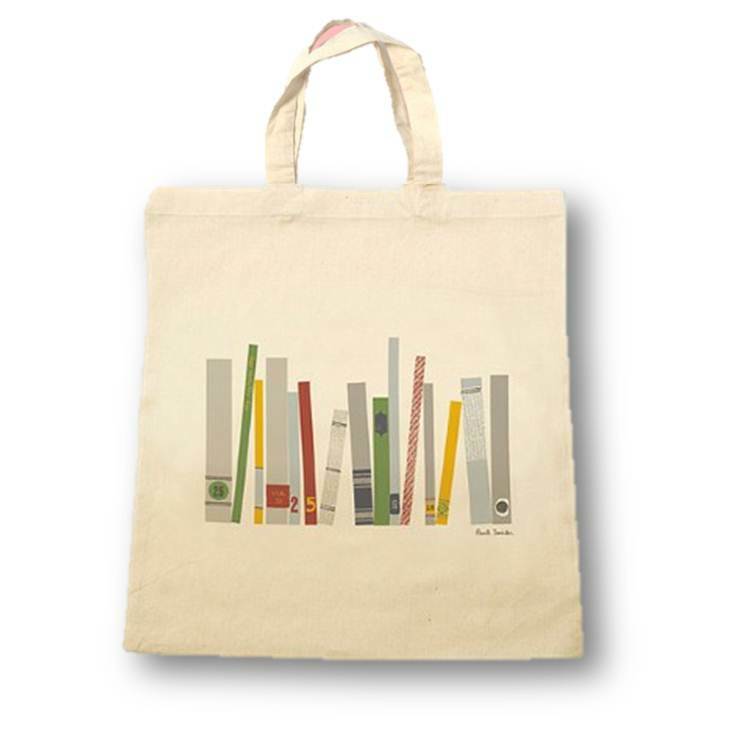 They invited Sir Paul Smith to exclusively design the book bag for this year’s Hay Festival. As ever the bag is free with copies of The Telegraph – you need to buy the paper. Perhaps the Guardinistas that are also fashionistas may be persuaded to slip one over their right shoulder. does anybody care about Paul Smith these days apart from would-be with-it Telegraph readers?